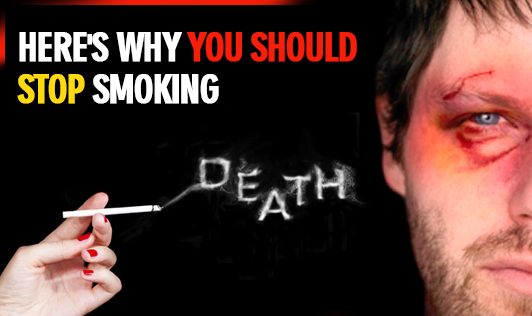 Smoking is injurious to health and is responsible for causing a number of diseases. Smoking is responsible for one out of every five deaths. It is said to bring diseases such as cancers, heart problems and cardiovascular issues in the body. Besides these life-threatening diseases, it also contributes to other problems like aging, skin problems and respiratory disorders. Skin problems such as drying and wrinkling are some of the common problems that arise due to smoking. You may develop yellow tooth, skin and fingernails. Nausea, anxiety, severe headaches and migraines. Blood pressure, pulse rate and body temperature will return to normal. Blood oxygen level increases and carbon dioxide level decreases. Enhances the sensory organs such as smell and taste. Decrease the rate of developing heart diseases, respiratory disorders and heart attacks to a great extent. Increase in rate of blood circulation.